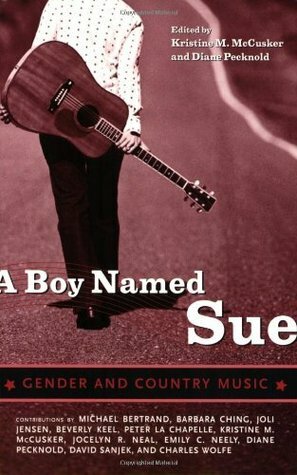 This is a collection of essays that claims to examine the roles of gender in country music. Granted, that's a pretty broad (pardon the pun) topic, so I might have expected the book would wander, but what is most odd to me is that there is little to no material concerning the music produced during the women's lib era. The essays jump from the very early 60s to 1987 with hardly a mention of the time between; the time most people in the US associate with the biggest shift in gender roles in the 20th century. That, and a slightly mis-quoted song lyric (annoying in any writing - unforgivable in a book about the country music industry) were disappointing. The early essays about country music pioneers and the last chapter examining the hypocrisy of the alternative country scene were the most interesting parts of the collection for me.